Enter now for a chance to win* a Febreze Freshness Kit. 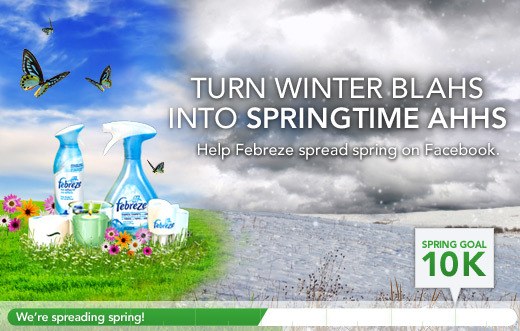 One winner will be selected for every 100 entries and for each entry received Febreze will donate $1 to United Way up to a maximum of $10,000. PLEASE NOTE: This Contest is open to residents of Canada only.